By now you obviously know the Nordstrom Anniversary Sale is happening. If not then where have you been? Haha I know I know you’re overloaded with blog posts and Instagram swipe ups I hear ya! That isn’t going to stop me from sharing a few posts with my favorite picks because all bloggers have different opinions and tastes. 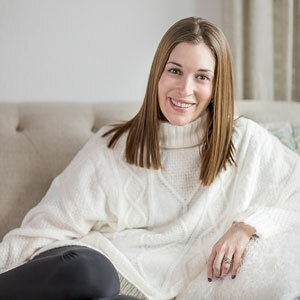 I am sharing my favorite Nordstrom anniversary sale finds, and next week I will share a few specialized posts for certain categories. I am not a HUGE jeans person, but when I wear jeans I wear basic skinny jeans. I love AG jeans and these are my favorites. I got a pair last year and they withstand the test of time and tons of wear. I suggest sizing down because they stretch! I am super in to matching pajamas lately and this pair is so price friendly. There is a nearly identical option close to $100 but these are under $37!!! Zella leggings are some of my favorites and this is the best time to stock up! This black pair is under $34 which is absurd! Buy them! I love a good oversized cozy cardigan. This one is great for layering, travel, and can be paired with so much! It comes in 3 cute colors and will for sure be a fall staple! Oh I love Jcrew tees and this tres chic one is SUPER cute! Great find that you can throw on with shorts now and jeans in the fall. I always buy a pair of Nikes during the sale! I love this pair of free runs that comes in a cute olive green, pink, and navy! How do I choose? This is the pullover you saw EVERYONE wearing last year. There’s a reason, it’s friggin comfortable! It was my go to all winter and it’s just around $50! It comes in 4 perfect colors. Every year there is one sweater I feel like will be the IT sweater of the year. This is it. It’s under $50 and so cute! My favorite shampoo and conditioner is the Living Proof kind and they have a HUGE deal where you get a giant shampoo and conditioner and a dry shampoo. 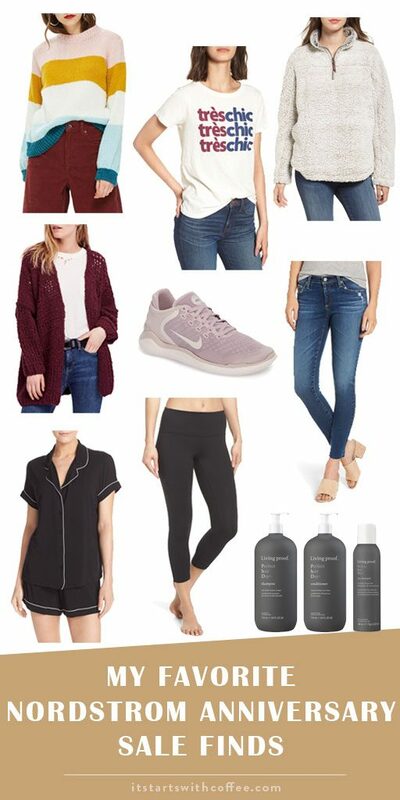 These are my favorite Nordstrom Anniversary sale picks this year and next week check back for a few more posts! I also included a few extra items I am loving below so scroll through. There are a lot of good deals in this years sale! My Mom used to love Nordstrom, she used to buy all of my younger brothers clothes there. That pullover sweater looks warm and cozy. Love the jammies and the Nikes! I’m not a big spender on fashion, but I definitely think it’s worth it to pay for quality wardrobe staples. Thanks for the heads up! I’ve definitely been browsing their site! Lots of great deals under $50, too, which is exciting! I hear those leggings are amazing!! And of course, i love the hoodie!! I love those pink Nike sneakers! You made some great picks. The jeans look really nice too. Oh, and I would love new sweaters and pull-overs too. I can’t believe they are all so reasonably priced! I love the oversized cardigan and that you included some non-clothes items too! I love shopping for off season clothes because I can get them at a better price. Those oversized cardigans, sweaters and pull overs are so cute! Perfect for the fall! Thanks for sharing your picks. Ah so many great picks!!! That pullover looks super comfy–it’ll be perfect for when it gets more chilly outside again!